On this page, you’ll find information on what’s involved in sitting the UK amateur radio Foundation exam. It’s a complement to the videos that form our Getting Started: Foundation Online course. Once you’ve completed the practicals, the assessment form will be signed off by a Registered Assessor. You’ll need to present this when you sit your exam. This is a 26 question multiple choice test, and you’ll need to study for it. You can do this at a local amateur radio course, using a free online course such as our Ham Train course, or self-study from the Foundation Licence Now! book. It’s a good idea to bring a spare pen and pencil. 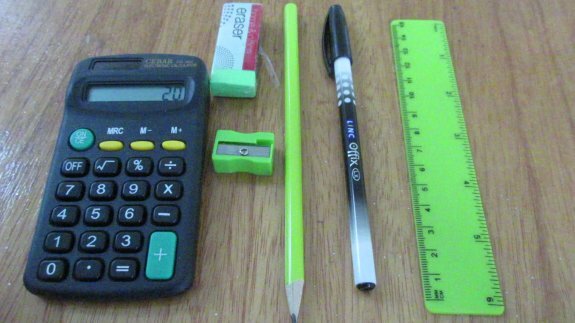 A pencil sharpener and ruler may be helpful too. You’re also allowed a mascot, sweets and a drink, but excess packaging needs to be removed. Mobile phones need to be switched off and out of reach. ID Check: Before you can sit the exam, you’ll need to prove your identity to the invigilator. The best option is to bring a current passport, a photo id driving licence, or another legal document showing your photo, name and signature. If you can’t provide those, you’ll need to bring two current legal documents showing your name and signature – this can include a credit card. If in doubt, check with the exam centre before turning up to the exam. In the exam, you’ll be presented with the exam paper, the optical marking sheet and the Reference Data booklet. Before the exam starts, the invigilator will read out a set of rules and explain the process. Once the exam starts, you’ll have 55 minutes to answer the 26 questions, which is usually plenty of time. If you want to, you can write on the exam paper, perhaps to do any workings-out. All answers have to be added to the Optical Marking Sheet. This is read by a computer, and has to be filled in correctly, or it may invalidate your answers. You can use a pencil to mark in your answers, and then rub out the answer if you change your mind. Your final answer has to be completed in black pen. Once you have inked in your answer in black pen, you can’t change your mind. At the end of the exam, your papers will be collected and the exam team will mark your papers. They will give you what’s known as an indicative mark. The pass mark for Foundation is 19 out of 26. The papers are then sent off to the RSGB, who will check the answers on your Optical Marking Sheet, confirm whether or not you have passed, and if you have, send you your Foundation certificate to you by post. Once your pass has been confirmed, you can then log on to the Ofcom website to pick your callsign and print your licence. More info: Just passed your Foundation exam?